This summer's Pixels isn't the first movie to utilize popular 80s video game characters in an original story. 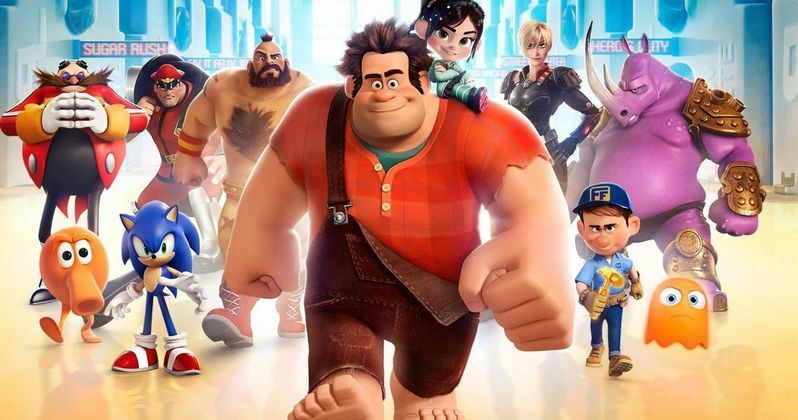 2012's Wreck-It Ralph actually got their first, and it proved to be such a hit with young and old fans alike, Disney is finally moving forward on a sequel. John C. Reilly has officially announced that he will return to voice the title character, a destructive video game villain who just wants to be loved. Producer Penny Hart of Irish radio show RTE Arena tweeted out the news shortly after the actor offered up the info during an interview at the Galway Film Festival. There has been talks about a sequel since the first film arrived three years ago, earning over $470 million at the worldwide box office. Rich Moore, who directed the first film, has, in the past, teased that Wreck-It Ralph 2 will have Ralph jumping into the worlds of online gaming and console gaming, with talks ongoing with Nintendo to have Ralph and his crew meet up with some of their most iconic characters, including Mario, Luigi, Link and Zelda. In a previous interview, the director had this to say. "We'll really come up with something good for Mario to do [in the next film]. To be able to present him in the sequel, would be great." It's also possible that Disney's own video game franchise Tron will play a part in the story. Which seems like more of a possibility now, since Tron 3 was canceled. This would be a good way for Disney to keep those characters alive, and fresh in the minds of young fans. And it could even possibly lead to a reboot. Rich Moore had this to say about the prospects of a Tron and Wreck-It Ralph crossover. "I can't specifically remember why that didn't happen. Of course, with a sequel, I'm hoping that we can find a way to see Tron himself in that movie." At this time, it isn't known who else from the first film will be back. The original Wreck-It Ralph had a fine ensemble of voice talent that included Sarah Silverman, Jack McBrayer, Jane Lynch, Alan Tudyk, Mindy Kaling and Ed O'Neill. It isn't known when Wreck-It Ralph 2 will hit theaters, but we can expect to see it in 2018 or 2019 at the latest. John C Reilly announced at the interview today that he has signed on for Wreck it Ralph 2!